If UNC’s Kenan-Flager is on your list of dream bschools, then you’ll want to read up on these tips from their admissions office. Meet Lisa Beisser, Senior Associate Director of MBA Admissions, and hear what she has to say about your chances of getting in! First off, what’s one aspect of UNC Business School that makes you proud to be a part of it? This school really prides itself on its culture and sense of community and going beyond just the bottom line. Like most top business schools, we have incredibly smart and driven students. But our students also are very focused on community and being part of the greater good. That combination is unique and something we are all quite proud of. Our students strive to make positive impacts on the future corporations they lead and the communities they serve. What qualities do you think a student needs to really thrive at UNC? At the most basic level, our students need to have the analytical skills to do well in a very demanding academic program. But beyond that, our students need to thrive on teamwork and a spirit of collaboration. Finally, students need to be ready and eager to take advantage of the intense leadership training that our students receive. Do your criteria for acceptance change at all across the different application rounds? The general criteria doesn’t change across application rounds, but by our last round, we are sometimes looking for a particular profile that we need to round out the class. We are always looking to diversify the class in terms of gender, ethnicity, nationality, functional background, etc. For example, when we get to our last round we may realize that we are light on women with marketing backgrounds. So when we are making decisions in that last round, we still have the same admissibility criteria, but we may find a woman with marketing experience to be a better fit at that time for us. When you think about the best recommendation letters you’ve ever read, what’s a common thread that makes those letters stand out? Outstanding recommendation letters tend to include a lot of detail and examples to back up the positive statements being made about the applicant. The letters really paint a picture of an individual who is progressing beyond their peers and is a rising star in their organization. Does a student’s extraneous interaction with your school affect his/her admission? For instance, do you keep track of a student’s behavior on a campus visit or tweets at your Twitter handle? We keep track of any official interaction with the admissions office (campus visit, email, event attendance, etc.). And we also have a place for “misc notes” in each applicant’s file. So if a particular issue came to our attention (through a current student or social media) we could always indicate the issue in the notes field. In terms of affecting admissions chances, well, everything an applicant does could potentially impact their admissions decision! For example, if someone was rude to our receptionist during their campus visit, we would probably hear about it and consider that input with the rest of their application package. What’s the number 1 reason you would turn down a UNC applicant, and why? Since we pride ourselves on our school culture, we are careful to choose applicants who we believe are a good cultural fit with our school. We sometimes will deny an otherwise strong applicant based on a sub-par interview or a red flag regarding interpersonal skills in a recommendation. 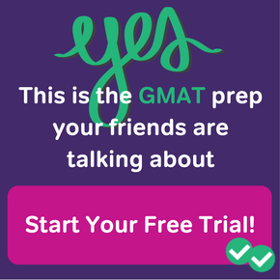 When it comes to choosing a school that’s the right fit, would you recommend that students choose schools based on how high low or high their GMAT scores are compared to the average score of that school? Why or why not? 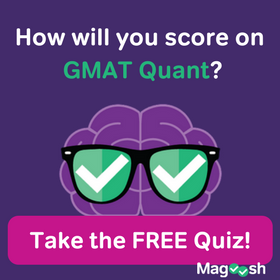 A school’s average GMAT score is a good place to start in terms of determining which schools might be in your target range. But clearly test scores are only one piece of the puzzle. We encourage applicants to look at a school’s academic strengths, graduates’ employment record, leadership opportunities and school culture. We always admit applicants with a wide range of test scores, so if an applicant finds they are otherwise a good fit with a school, even if their test scores fall below the school’s average, they still may want to pursue admission at that school. During your interviews, what else are you looking to learn about the student that wasn’t already communicated in the application? The interview is the one place where we can evaluate an applicant’s verbal communication skills and interpersonal skills. We often are trying to figure out how this applicant may present themselves to an employer/recruiter a few months down the line. Do they have “executive presence”? Can they engage their interviewer? Are they able to tell their “story” in a compelling way and connect it to their future career goal? What’s one final piece of advice you’d like to share with every UNC Business School applicant? I recommend that applicants use the business school application process to truly do some introspection and self-reflection. 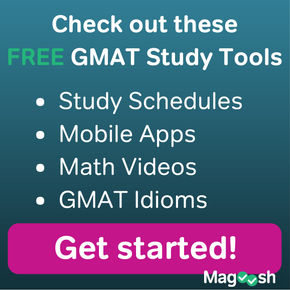 Before writing your essays or even choosing your schools, figure out what makes you tick, what makes you unique and how business school will help you achieve your career goals. Sometimes it’s hard to find the time to do this, but this level of self-awareness will go a long way toward making the application process a successful one. Finally, and I’m sure this is something most schools recommend, is that you make time to visit the schools on your “short list”. An on-campus visit, if feasible, allows you to truly get a pulse for a school’s culture and determine if a particular school is a place where you think you will be comfortable and thrive. And if you can’t travel to campus, use other means to get to know a school’s culture, like reaching out to current students and alumni. Let us know in the comments below if there are any questions you’d like us to ask an admissions committee on your behalf!